Teclast M20 with 4GB RAM, 64GB internal, MediaTek Helio X23 Processor, and 6600mAh battery. Teclast M20 is a latest launched tablet from the company with Helio X23 SoC and Android 8.0 Oreo. The tablet is currently available on Gearbest at $169 with Dark Gray color option. 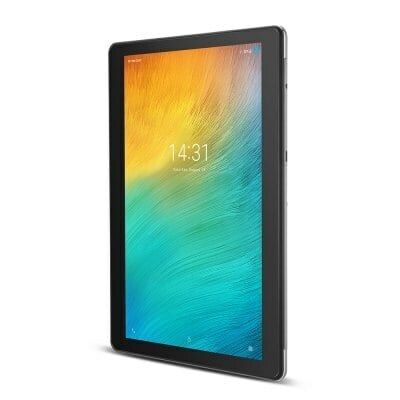 There are some best offers available on Gearbest if you buy this tablet before 15th September. Teclast M20 is a good basic size tablet with 10.1-inch display and dual cameras. It is made of metal unibody design with curved sides at the rear, which makes it very classy in terms of look and handling. Talking to its size, it measures 33.00 x 21.00 x 5.00 cm and weighs 553g, which makes it slim and lightweight to use. In terms of build quality, it makes sense with its metallic body. The tablet is designed with a camera sensor on the front and rear side along with a TF card slot positioned near the camera sensor. On side edges, there is a speaker, volume keys, 3.5mm jack, and Micro USB 2.0 port. So in terms of design, it is quite impressive with camera sensor positions and overall look. Teclast M20 is powered with MediaTek Helio X23(MTK6797) SoC clocked at 2.3GHz(Deca-Core) Arm Cortex A72 cores and low power A53 Cores, that makes it more efficient and powerful in terms of performance. Additionally, MediaTek Helio X23 is an upgraded version of X20 with 2.3GHz frequency. It features Arm Mali T860 MP4 GPU clocked at 780MHz which is able to handle almost all mobile games smoothly. With a total number of 10 cores of CPU and 4 cores of GPU, you will get unbelievable performance. For storage, it has 4GB LPDDR3 RAM and 64GB internal storage, which can expand up to 256GB with an external MicroSD card. In terms of memory, it works best on almost all types of heavy mobile games available on market. Off course you will able to play most trending PUBG without any lag with this tablet(expected). The tablet is featured with a 5MP camera sensor on the rear side without any LED flash, and 2MP sensor on the front side for selfies. We haven’t tested its camera or we have not received any camera review from our user. If you are one of those who has bought this tablet, then please share camera experience with us via our user review section below the specification table. On the connectivity front, it has 2.4G+5G dual-band Wi-Fi, which avoids wireless interference, and provides top Wi-Fi speed and reliable connections. As some other connectivity features, it offers Dual 4G network SIM slot, GPS, Wi-Fi hotspot, MicroUSB 2.0 port, 3.5mm audio jack, and some sensors. For battery parameters, it is powered by 6600mAh non-removable battery with 8 hours of play time and longtime standby time. So if you are a heavy user and a game lover, then this tablet will work best for you. The MediaTek Helio SoC with Arm Mali T860 SoC is a most powerful factor of this tablet. It is a fast, classy, lightweight and slim machine, which give you the overall best performance and value your money. Price of the laptop is quite high, but if you buy this from GearBest, you will get an extra $10 discount.